Kristi Culpepper is a state government official with the Commonwealth of Kentucky. She handles the structuring and sale of bonds for schools across the state among other things. This post originally appeared on Kristi's excellent Tumblr. You can also follow her on Twitter. Possibly used the city’s portfolio of interest rate derivatives as an ATM. State and local governments typically issue bonds to finance the construction of buildings and infrastructure that will benefit residents for generations. This article explains how Chicago residents have billions of dollars of debt and nothing to show for it. Chicago made headlines at the end of February after Moody’s downgraded the city’s general obligation bond rating to Baa2. 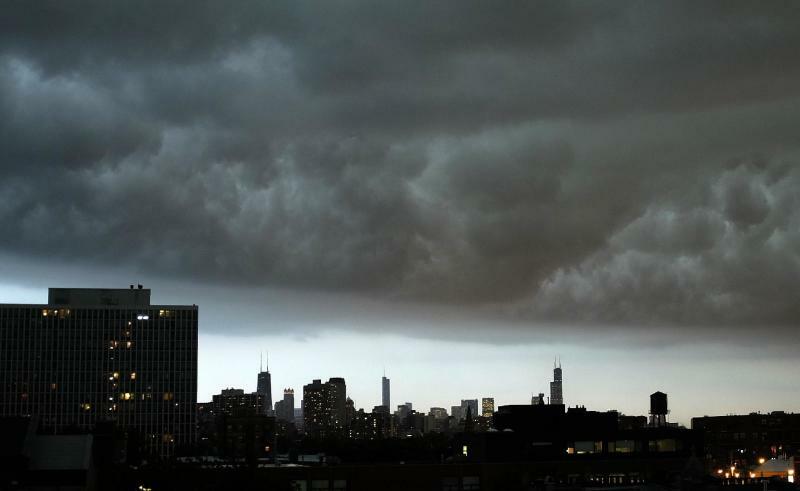 Moody’s has cut Chicago’s rating five notches in less than two years. This downgrade, however, placed the city’s credit below the termination triggers on some of its outstanding interest rate swaps. The city has been working to renegotiate the terms of those contracts with its counterparties. If Chicago’s general obligation rating falls below investment grade, the city’s credit deterioration will become a self-fulfilling prophesy. The city risks nearly $400 million of swap termination payments and the acceleration of its $294 million of outstanding short-term debt. Unsurprisingly, some of Chicago’s bonds are already trading at junk levels. Chicago CUSIPs are listed here. That said, the rating agencies and most other market participants still appear to be light years away from understanding the true scope of Chicago’s financial problems. The city has a very — well, let’s just call it unconventional — approach to borrowing money and probably should not be considered investment grade. In order for you to follow my discussion of Chicago’s borrowing shenanigans, it is necessary to understand the fiscal machinery behind its bond issues. Please be patient with me here. This story will blow your mind shortly. Chicago’s budget is divided into seven different fund classifications, but only three funds are relevant to our narrative: the Corporate Fund, Property Tax Fund, and Reserve Funds. The Corporate Fund is Chicago’s general operating fund. This fund is used to pay for essential government services and activities (e.g. public safety and trash collection). Corporate Fund revenues are derived from a wide variety of sources, including: (1) local tax revenue from utility, transaction, transportation, recreation, and business taxes; (2) intergovernmental tax revenue, which represents the city’s share of the state’s sales and use taxes, income tax, and personal property replacement tax; and (3) non-tax revenue from fees, fines, asset sales, and leases. Chicago’s property tax revenues do not go into its general operating fund. These revenues go into a Property Tax Fund, which is used to make debt service payments on the city’s general obligation bonds; make required employee pension contributions; and (to a minor extent) fund the library system. The fund also includes tax increment financing revenues that flow to projects in designated TIF districts. The city used some of the proceeds from long-term leases of city assets to establish Reserve Funds. The Chicago Skyway reserve funds were established in 2005 in the amount of $975 million. The Metered Parking System reserve funds were established in 2009 in the amount of $1.15 billion. Of these funds, $475 million of the Skyway reserves were designated for budgetary uses. What remained was $500 million for the Skyway; $400 million for the Metered Parking System; and $326 million for a budget stabilization fund. There has been a structural gap in Chicago’s Corporate Fund budget since at least 2003. Although most governments are required to balance their budgets on a cash flow basis each fiscal year, a structural budget gap can arise when recurring expenditures are greater than recurring revenues. Some of the city’s offering documents suggest that this gap is a legacy of the last economic downturn, but in reality the gap pre-dates the economic downturn by several years. The impact of economic downturns on tax collections tends to have a considerable lag anyway. So, Chicago’s structural budget gap is a political, not economic, creature. Rather than cut expenditures to a level that could be supported by recurring revenues, the city mostly used non-recurring resources to fill the gap from one fiscal year to the next. This is not surprising. Most of Chicago’s Corporate Fund budget goes to salaries and benefits for its employees, and 90% of the city’s employees belong to around 40 different unions. Attempts to adjust expenditures tend to have well organized opposition. Between fund transfers and drawing down its reserves, the city blew through its financial cushioning quickly. The $326 million budget stabilization fund was exhausted by 2010. From 2009 to 2011, the city used $320 million from the Metered Parking Reserves. The city’s budget gap was at its widest in the wake of the last economic downturn, at over $600 million. Now things start to get interesting. Transfers from reserves and other funds have not been the only means Chicago officials (across administrations) have devised to subsidize the city’s Corporate Fund. The city has effectively been using its general obligation bond offerings and interest rate derivatives to accomplish the same thing. State and local governments typically use the proceeds from their bond offerings to construct or renovate public buildings and infrastructure. These are projects that have long useful lives and will benefit residents for generations. (4) Provide discretionary funds to each of the city’s 50 aldermen to pay for activities in their own districts. In 2002, for example, the city used tax-exempt bonds to pay an arbitration award involving the Fraternal Order of Police. Rank-and-file officers rejected a city contract offer in 2001, but an arbitrator ruled in favor of the city’s wage proposal a year later. Bonds also ended up covering the $28 million a jury awarded to Joseph Regaldo in 1999. The jury found that, years earlier, a Chicago police officer had beaten him in the back of the head and neck with a blunt object, which ripped apart an artery and cut off the blood supply to his brain. The injuries left Regaldo unable to walk, talk or care for himself. About $54 million from a tax-exempt bond helped cover a legal judgment awarded to African-Americans who were denied a chance to become firefighters by a 1990s entrance exam that favored white applicants. An additional $8 million in tax-exempt bond money went to pay legal fees related to the case, records show. Stop and let that sink in for a moment. That police brutality case? Wage increases negotiated with labor unions? Not just financed, but financed with long-term debt. So why haven’t the city’s 50 aldermen protested the use of bond proceeds for these purposes? It probably has something to do with the “Aldermen’s Menu,” which allows the aldermen to use a portion of the proceeds from the city’s general obligation bond issues to pay for whatever they want for their district. It is unclear (to me) whether the city tracks how the funds from the “Aldermen’s Menu” are spent, but in the aggregate they are not a negligible amount. From 2003 to 2012, these projects have ranged from $54.2 million to $102 million. The use of bond proceeds to provide slush funds for policymakers has a historic analog in the revenue bonds Harrisburg issued for its incineratorproject as the city was on its path to insolvency. Pennsylvania law limits the amount of debt local governments can issue to finance projects that are not self-supporting. Substantially all of the bonds tied to the incinerator project were issued to provide working capital, although city officials were able to locate financial advisory firms that were willing to certify the opposite to state regulators. In order to win authorization for bond issues that outright defied state law, Harrisburg’s later bond issues included a “Special Projects Fund” for city officials to play with. They bought things like artifacts for a Wild West Museum. In Pennsylvania. Don’t think too hard, there is no why. See? Reading the Sources and Uses provisions in official statements can be fun. I know, this makes you want to invite me to your next dinner party. Our story gets even more interesting when you look at how Chicago’s past general obligation bond offerings have been structured. First, the city has undertaken several large, non-traditional refundings to push the maturities on debt that is coming due out into later years. A traditional refunding is akin to how a homeowner refinances a mortgage loan. A new loan is used to prepay an old loan to achieve an interest cost savings. A “scoop and toss” refunding, which is what Chicago has done, involves additional interest cost — even in a ridiculously low interest rate environment — because the debt remains outstanding for a longer period of time. The objective of these deals was to provide budget relief for the city’s general operating fund in the short term, even if the structure means escalating debt service payments in the long term. These restructurings artificially inflated the city’s debt capacity, so the city could continue to use property tax-supported bonds to take out the city’s working capital credit facilities, which allowed the city to avoid balancing its Corporate Fund budget. Chicago is far from the only government to restructure debt for budget relief. Quite a few state and local governments engaged in similar transactions following the last recession. What makes Chicago unique is, again, the magnitude of this activity. According to the Chicago Tribune, “since 2000, the city has used $3.6 billion in bond money to refund old debt as principal payments came due. Of that amount, half will end up costing taxpayers in the long run.” For the sake of comparison, Chicago has around $7.2 billion of general obligation bonds outstanding. Second, Chicago’s past few general obligation bond offerings have involved considerable amounts of capitalized interest. Capitalized interest is typically associated with project finance, not general obligation bond issues. Project finance is a sector where loans finance revenue-producing facilities and infrastructure. The debt is supported by those revenues, not taxes as with general obligation bonds. With capitalized interest, a bond issuer borrows more money than a project requires for construction in order to pay the interest on the bonds while the project is being built. The idea here is that the project will eventually generate revenues that can support debt service payments and the cost added by capitalizing interest. From 2010 to 2014, Chicago’s general obligation bond deals included over $235 million of capitalized interest, simply as a means for the city to avoid servicing its debt in the short term. If you are a bondholder, there are two things you should take away from this segment of our narrative. First, if you hold the tax-exempt portion of these deals and the Internal Revenue Service ever gets around to scrutinizing them, your bonds probably won’t be tax exempt for long. Many of these uses of bond proceeds are not eligible for tax-exempt financing under the federal tax code. These bonds have received extraordinarily aggressive tax opinions — including, incidentally, from the same law firm that drafted Illinois’s swap legislation, which I will get to momentarily. Second, Chicago taxpayers are on the hook for billions of dollars of long-term debt and have little of tangible value to show for it. There is a good chance that residents do not understand the nature of their government’s borrowing activities, since these were complex offerings. (Well, unless they read what I have written here…) As debt service payments increasingly compete with other political priorities for funding, this revelation might eventually erode the city’s willingness to pay. These transactions should never have happened. Perhaps a third thing a bondholder should take away from our narrative is that to the extent Chicago is slapped with future termination payments on its interest rate derivatives, the security for your investment will be diluted. Since Chicago’s property tax revenues are also applied to pension contributions and the debt/derivatives of several other overlapping taxing districts, this is not an insignificant factor. The State of Illinois authorized local governments to use interest rate derivatives in 2003. Here is a link to the legislation. The bill restricts the notional amount of a municipality’s interest rate derivatives to the outstanding debt the contracts will ostensibly hedge. Since the notional amount of a swap, etc. says nothing about an issuer’s risk exposure, this provision is pretty much worthless. And since the legislation was drafted by the financial industry, that probably wasn’t an accident. The legislation allows the municipality to make payments due under the swap contract (which would include termination payments) from any source of revenue it has, including property taxes. This probably wasn’t an accident either. Chicago used interest rate swaps on its 2003, 2005, 2007, and 2009 bond deals, apparently as part of a synthetic fixed rate strategy. (I explain the mechanics of synthetic fixed rate deals in this essay.) The city also recreationally experimented with more exotic contracts — swaptions and the like. The associated bond offerings were multimodal. Multimodal bonds are bonds that can be converted to any of a number of interest rate modes at the option of the issuer. Bond documents allow the bonds to be remarketed daily, weekly, or monthly as variable rate tender option bonds, or in term or fixed rate modes. Like capitalized interest, this structure is typically used only in project finance. The multimodal structure allows long-term debt to function as both interim and permanent financing to accommodate the life cycle of a revenue-producing project. Because the underlying debt is multimodal, Chicago never required interest rate derivatives to hedge its interest rate exposure. The city could have virtually any interest rate exposure it wanted as the bonds were remarketed. Why don’t all government issuers use this structure, you ask? Because most governments value predictable payments over trying to handicap interest rate trends and basis risk. That’s a function of being tethered to a budget. As I noted at the beginning of this essay, Chicago is now almost $400 million out-of-the-money on its outstanding swaps. This only matters to the extent that the city’s credit ratings continue to sink toward termination triggers. Only one rating agency has to break these thresholds — so, even though S&P and Fitch still somehow believe Chicago is an A+/A- credit, Moody’s is the only rating agency that matters. If the city doesn’t get cut to junk and interest rates normalize, Chicago’s interest rate swap situation will eventually repair itself. The tipping point here either way is probably the outcome of the state/city’s pension litigation. Chicago Public Schools — which already takes more property tax revenues from Cook County than the City of Chicago — has a swap/pension nightmare of its own to muddle through. Between the city and school system, area residents are at risk of making/financing $660 million of termination payments. The payments would compete with $28.3 billion of city and overlapping debt and billions of dollars of escalating pension contributions for funding. Basically, if you are in Chicago, your property is about to become more expensive. From the outside, it looks like Chicago also used its interest rate swaps as a means of drumming up non-recurring resources to fill its budget gap in 2010 and 2011. If so, this is another example of the city’s willingness to trade long-term costs for avoiding politically inconvenient spending decisions. The city made amendments to outstanding swap contracts by layering on forward-starting basis swaps. (This is something else Chicago has in common with Harrisburg.) These transactions changed the city’s net interest rate exposure on those deals from fixed to variable and introduced basis risk to the portfolio after they became effective in 2014. There was not an event that prompted these amendments and the city remains underwater on the deals. The city did receive a series of up-front payments, however. Judging from the swap confirmations from Deutsche Bank, PNC, and Wells Fargo, these payments amounted to around $25 million. Could Chicago file for Chapter 9 bankruptcy? No. At least not right now. To be eligible to file for bankruptcy under Chapter 9, there must be a state law that specifically authorizes a municipality to do so. Illinois law does not currently permit municipalities to do so, except under a provision that relates to units of governments with populations under 25,000. Of course, Chicago would also have to meet the other eligibility criteria. The city does have a relatively large tax base. Multiple federal bankruptcy judges have ruled that the federal bankruptcy code supersedes state constitutions, which theoretically provides a path for municipalities to adjust their pension commitments. The rulings have not been challenged in an appellate court, however, so there isn’t a bona fide legal precedent yet. Illinois’s Constitution describes pension commitments as contractual in nature. For an obligation to be considered secured in bankruptcy, there has to be a property interest. This logic also applies to the city’s general obligation debt though. For most of the city’s outstanding general obligation bonds, the city has pledged a specific property tax levy. Illinois is not one of the handful of states that provides general obligation debt a statutory lien. So it would seem, in my very non-legal opinion, that the bonds would be considered unsecured debt. As I noted earlier, the city’s general obligation bond offerings have provided little of tangible value to taxpayers. If the city were authorized to file for bankruptcy and actually did so, there could potentially be political pressure to adjust general obligation debt before depriving pension beneficiaries their incomes. It seems unlikely that the state or federal government would “Lehman” Chicago. It is the third largest city in the United States and a vital transportation hub. It seems reckless, however, to dismiss this possibility in its entirety over the medium term. When you tally up the ways bond proceeds have been used to offset operating expenses, scoop and toss restructurings, capitalized interest, and swap modifications, the city’s cumulative Corporate Fund budget gap is much, much larger than the city’s disclosures imply. At some point, this manner of doing business will collapse.